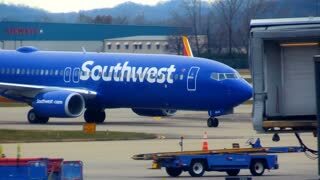 Search Results for "southwest airline"
PITTSBURGH - Circa September, 2016 - A Southwest airliner taxis to the gate at the Pittsburgh International Airport. LOS ANGELES - JAN 15: A Southwest Airlines plane descends towards the runway at LAX on Jan 15, 2012 in Los Angeles. Rising jet fuel prices have contributed to higher fares by the airlines. 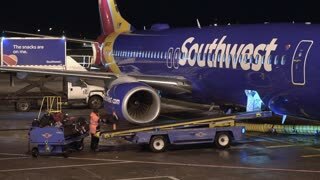 2018 - NTSB inspectors look at an aircraft engine which expoded in midair during a Southwest Airlines flight. LOS ANGELES - SEP 27: A Southwest Airlines Boeing 737 taxis at LAX on Sep 27, 2015 in Los Angeles. Ongoing renovations of LAX runways have resulted in longer taxi runs from the North terminals. 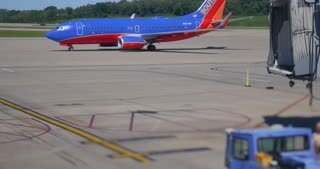 Stationary shot of a Southwest Airlines 737 taxis to parking with jet way and ground crew ready at Wichita's Mid Continent Airport. PHOENIX, AZ - Circa February, 2016: An aerial view of Phoenix International Airport. Timelapse Las Vegas Runway. Time lapse shot of commercial aircraft lining up for takeoff on a cloudy day at McCarran International Airport in Las Vegas, Nevada. Phoenix, AZ, USA - 11-20-18: Sky Harbor Airport is one of the busiest airports in the US. 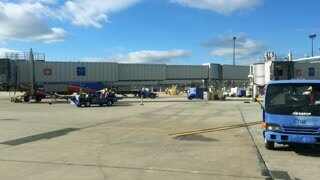 Generic view of the terminal. Phoenix, AZ / USA - 11/24/18: A SouthWest airplane cuts the sky after taking off from the Sky Harbor airport. Phoenix, AZ, USA - 11-20-18: Sky Harbor Airport is one of most busy airport in the US. 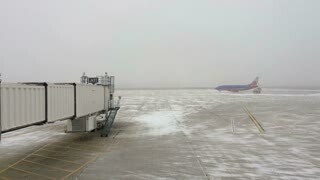 Generic view of the airport. 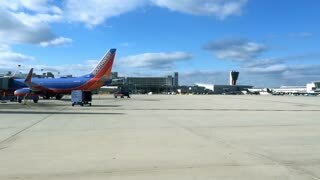 A Southwest jet airplane lands on an airport runway. Sky Harbor Airport, Phoenix,AZ,USA May,8th,2016 March 2016 was the busiest month ever for Phoenix Sky Harbor International Airport. Sweeping time-lapse motion 180 degree view. Timelapse Las Vegas Aircraft Preparation. Time lapse shot of commercial aircraft preparation for travel on a cloudy day at McCarran International Airport in Las Vegas, Nevada.